The Australian dental implants and prosthetics market is estimated to grow from USD 35.89 million in 2015 to USD 52.19 million by 2020, at a CAGR of 7.8% from 2015 to 2020. The rising incidences of dental caries and other periodontal conditions increase the incidences of tooth loss. The rise in the aging population of the baby boom generation is the main factor lashing the Australia dental implants and prosthetics market. Focusing on the quality dental care, rising disposable income and willing to spend out of pocket are further expected to drive the growth of the dental implants and prosthetics market. 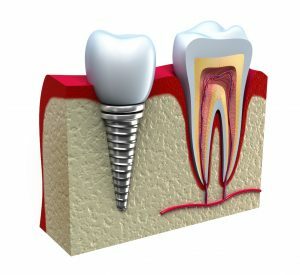 If you are missing one or more teeth, then dental implants might be the better choice for you. The Cost of dental implants in Melbourne provides an effective, practical and safe alternative to partial dentures. Actually, most patients believe that implants make them feel better and look much better than the traditional bridges or dentures. Improves your appearance: The dental implants look and feel like your own teeth because they are designed to fuse with bone and so they become like permanent teeth. Improves your speech: With poor-fitting dentures, the teeth can slip within your mouth causing you to slur or mumble your words. Dental implants will allow you to speak free without the worry that your teeth might slip. Gives comfort: Since implants become a part of you, they eliminate the discomfort of removable dentures. Easier eating: Dental implants function like your own teeth, allowing you to eat your favourite foods without any pain. Improved self-esteem: Dental implants can give back your smile and help you feel better about yourself. Durability: Dental implants are durable and will last for many years. With good dental care, implants can last a lifetime. Convenience: Dental implants will help to eliminate the embarrassing inconvenience of removing dentures, as well as the need for messy adhesives to keep them in their place. Improves your Oral Health: Dental implants don’t involve in reducing or removing other teeth, as a tooth-supported bridge does. Because during dental implants the nearby teeth are not altered to support them, more of your own teeth are left intact, improving long-term oral health. Success rates of dental implants may vary depending on where the implants are placed in the jaw, but in general, dental implants have a success rate of up to 98%. With suitable dental care, implants can last a lifetime.